Katie Pieri is the Director of Community Impact at the Community Foundation. In this role, she project manages leadership initiatives designed to promote the Community Foundation’s goals of advancing education, racial/ethnic equity, the environment and arts and culture. 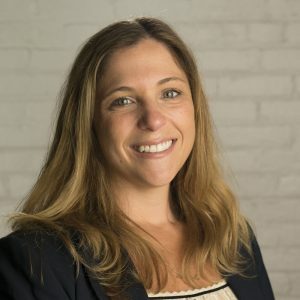 Katie coordinates grant making, the Foundation’s policy work, and research and evaluation projects, including the WNY Coalition to Prevent Lead Poisoning focused on ending lead poisoning and Buffalo’s Green & Healthy Homes Initiative aimed to improve the safety of homes. To support these initiatives, she engages with community stakeholders, elected officials, professionals and citizens who collaborate on initiatives to bring positive change to Western New York. Prior to joining the Community Foundation, Katie worked for over seven years at the Cook County Sheriff’s Office in Chicago, Illinois, where she held several management positions. Most recently, she served as the Director of the Social Services Division, focused on issues of eviction, homelessness, and mental health in the jail. With extensive experience working in nonprofit organizations and social services, Katie also worked at Crisis Services in Buffalo and Hopevale, Inc. in Hamburg. Katie received her B.S. in Marketing from Saint Joseph University and M.S. in Community Mental Health and School Counseling from Canisius College. She serves on the Board of Directors of the Children’s Growth Foundation.